I needed a few other elements for my mantle and I saw a plain plaque similar to this at Hobby Lobby and decided I would just create my own. Again, this is so easy so here is how I created it. 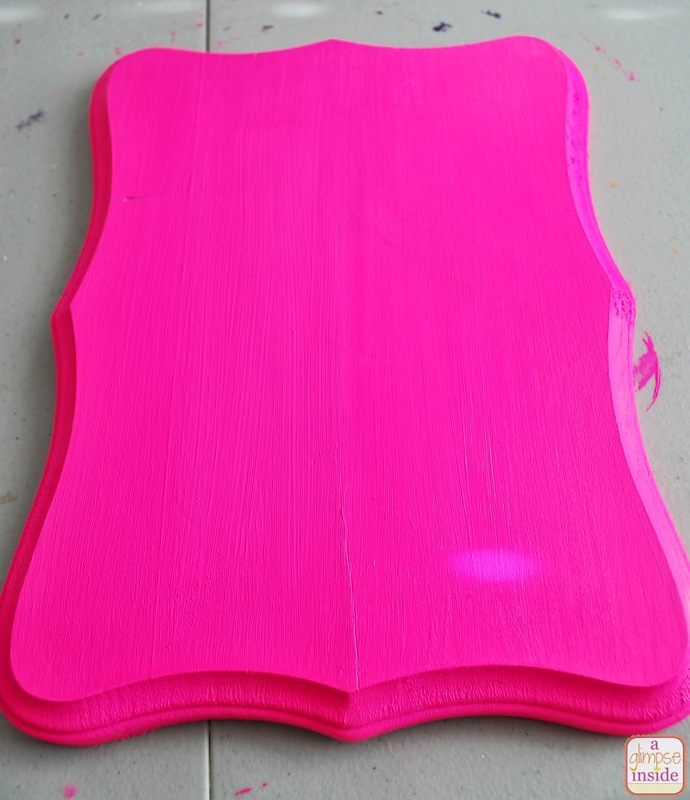 Paint the plaque the color of your choice and let dry. 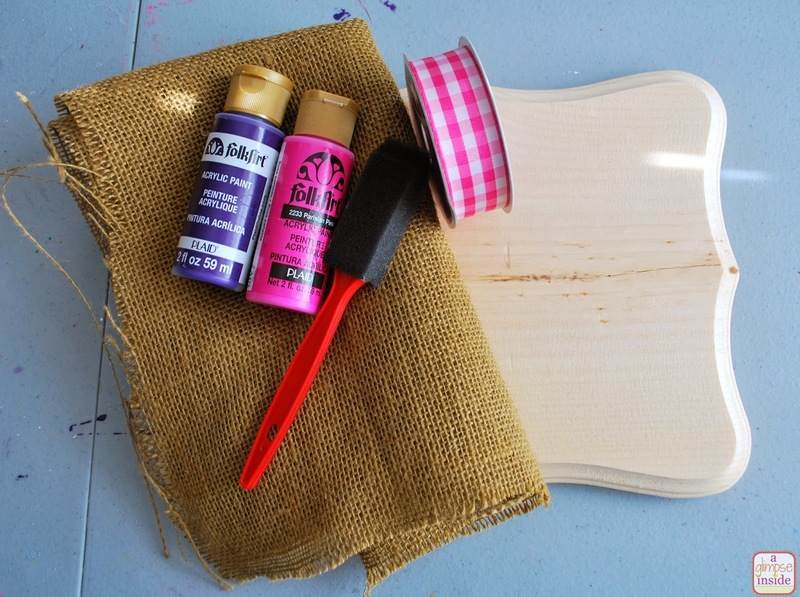 Once your paint is dry, or you can do this before you paint the plaque, cut a piece of burlap to fit in the center of the plaque. Make it slightly smaller than the inside of the plaque. 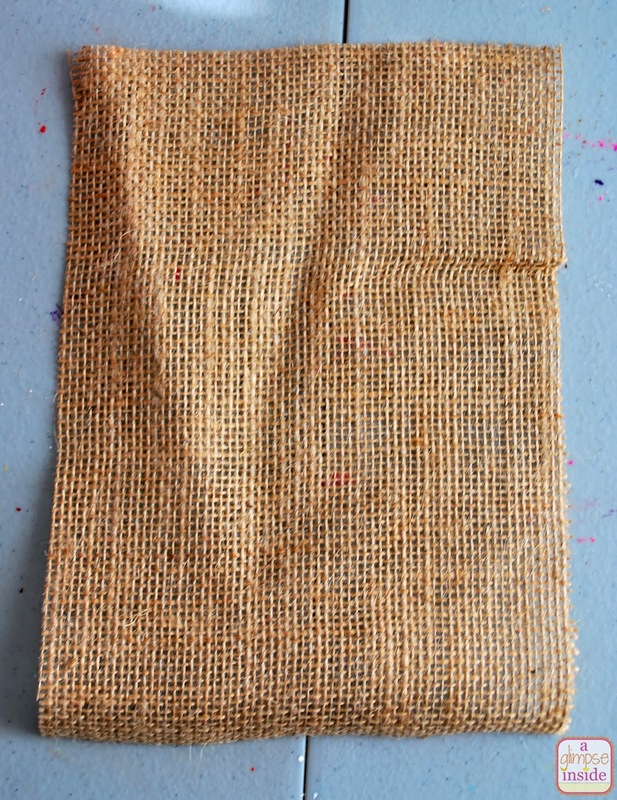 If your burlap is wrinkled like mine, iron it smooth. 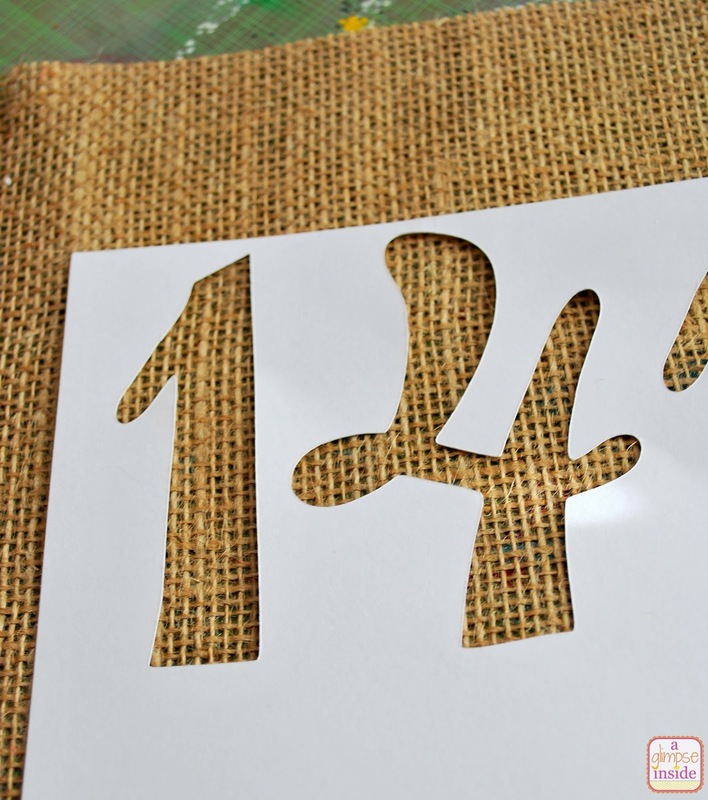 I used my Cricut to create a stencil with "14" on a sheet of cardstock. 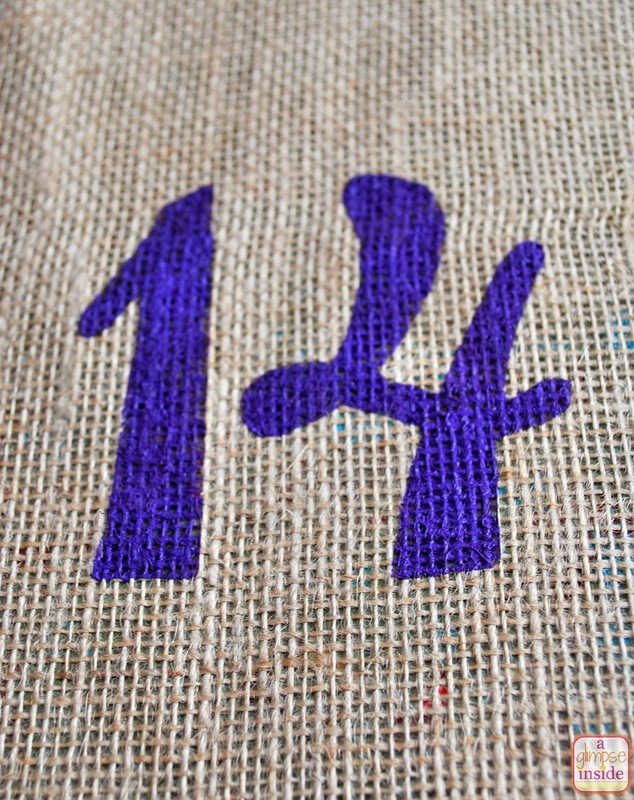 I took some purple paint and a stencil foam, pounce brush and filled in the stencil. 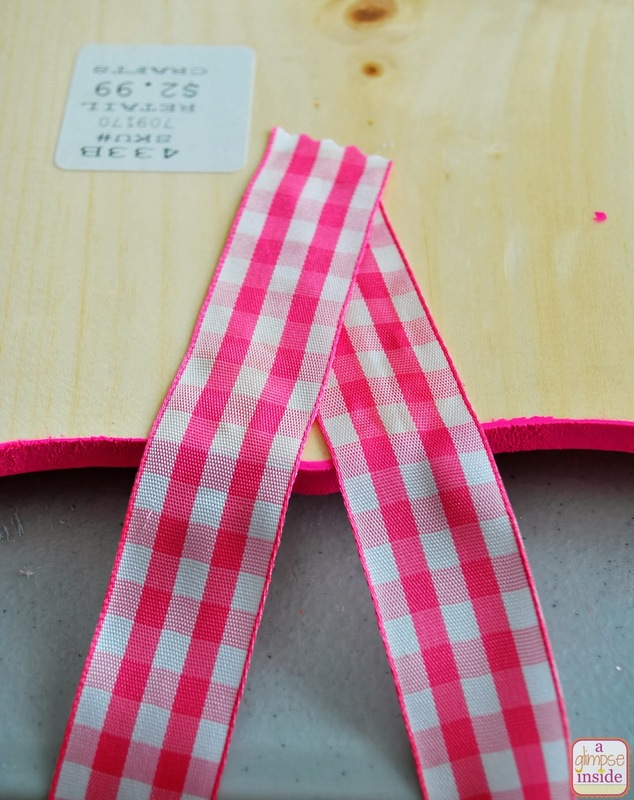 Once the paint is dry, take some ribbon and create a loop to use for hanging. 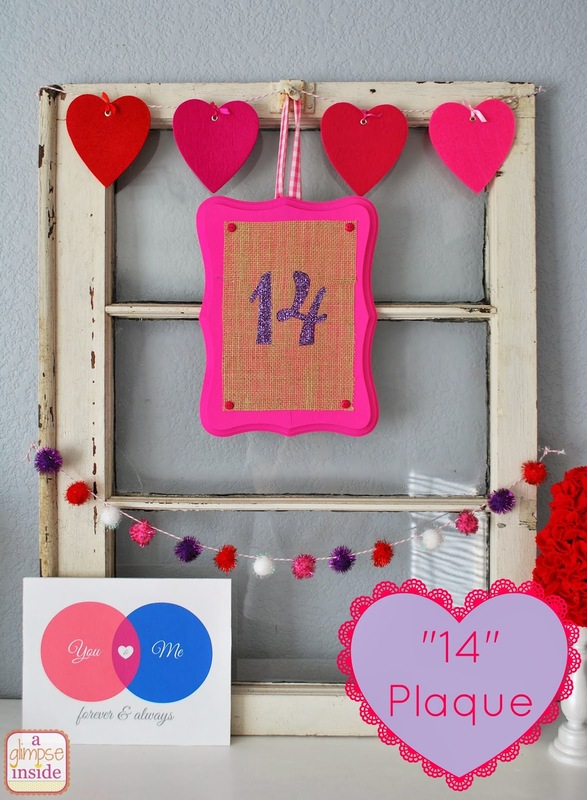 I just used hot glue to attach it to my plaque but you could also use a hand staple gun. 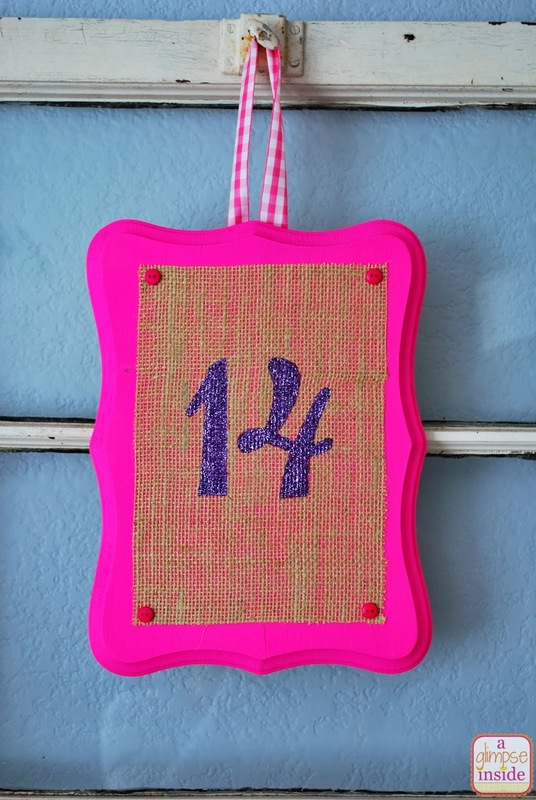 Once your stencil is dry, spray the back of the burlap with spray adhesive and apply it immediately to the plaque. 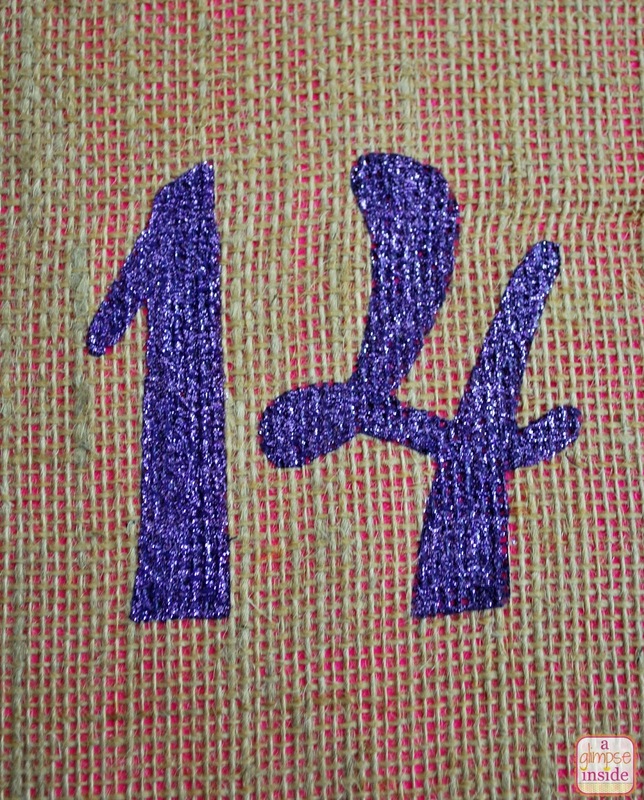 I decided that I wanted a little something extra so I used some purple Stickles on the 14 but you could also use regular glitter. 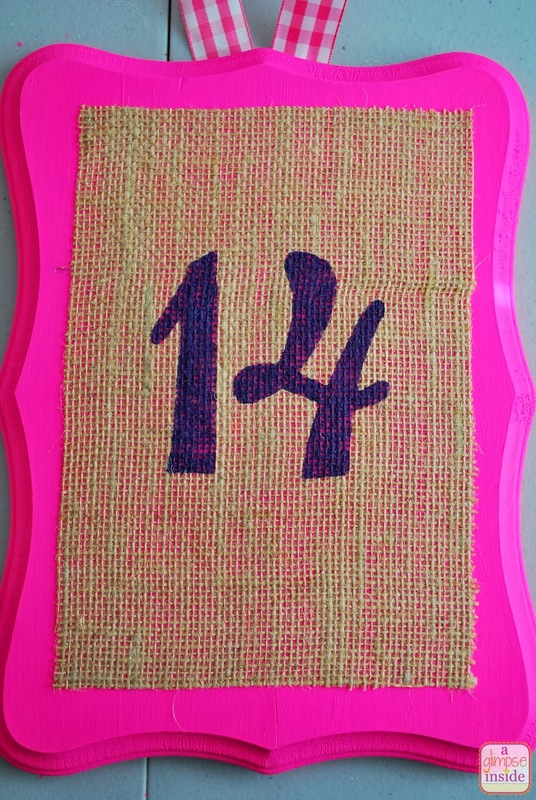 I then glued some buttons to the corners to the burlap to make it look like they were holding the burlap down. I kept the old window on my mantle and hung the plaque on it. 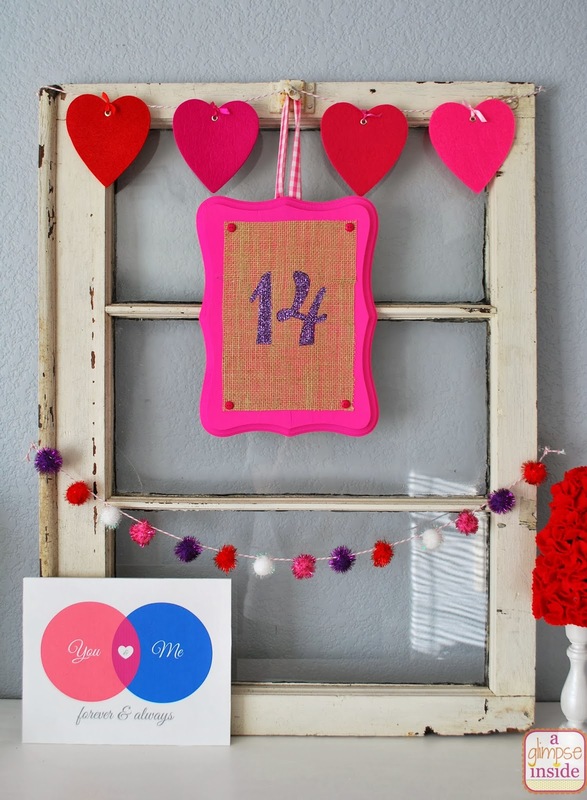 I had 4 extra hearts from my main garland so I created a heart garland on the top of the window and then created another pom-pom garland on the bottom. I love how it came out and it was so simple! 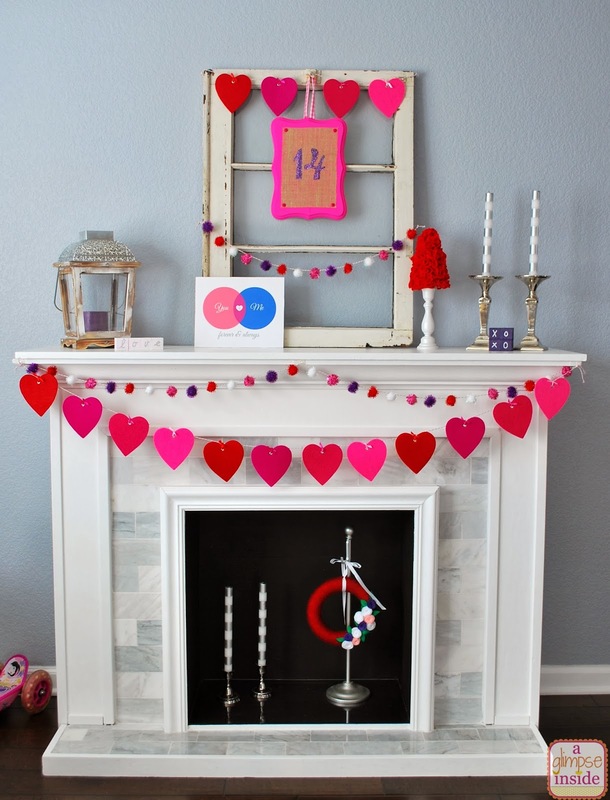 Here is shot of my whole mantle so you can see the whole design.